"TIP has a specialist division dedicated to tanker rental and maintenance, because we understand that tankers are complex vehicles with a multitude of different requirements." We have one of the largest and most diverse fleet of rental tankers in Europe and North-America. 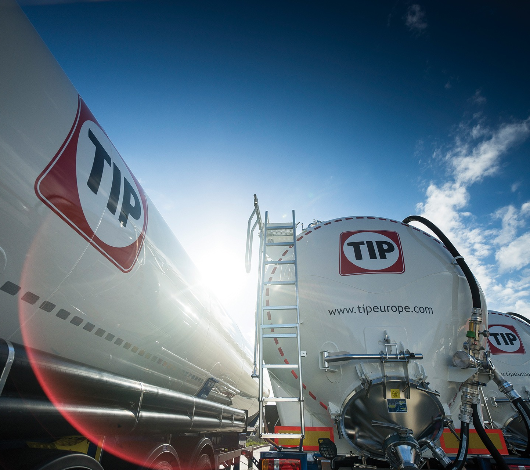 Combined with our innovative tailormade solutions all handled by our experienced staff there is no doubt TIP is the place to go for your tanker requirements. We understand that your tanker requirements may vary which is why we have a range of rental and leasing solutions designed to cater for all your needs. Our tankers can be rented on a spot-hire basis right through to long term contract lease, which can incorporate our maintenance and repair services. In addition to this, we also offer a sale and lease back service where we give you a lump sum to purchase your tanker fleet and then lease these tankers back to you on terms that suit your business. We also offer a market leading tanker refurbishment service, where we can remount your tankers onto new chassis increasing the life of the tanker without the capital expenditure required when buying a new one. This is all carried out by our highly skilled and experienced staff, who deliver a high quality finish as standard. To support all of our services TIP has a dedicated tanker customer service and workshop team on hand to deal with all your requests. Whether it is a new rental enquiry, booking in a service, requesting an estimate or asking for technical assistance you will receive world class customer service from a specialist professional. Please contact us for more information or to make a booking.